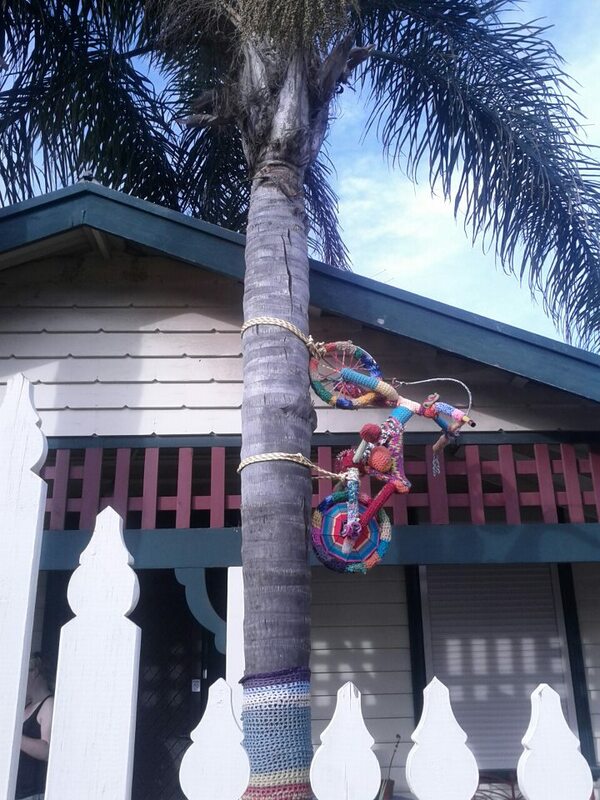 Since I yarn bombed the poles on my front porch, door to door salesmen have stopped knocking on my door, not sure what puts them off, but I’m pleased. 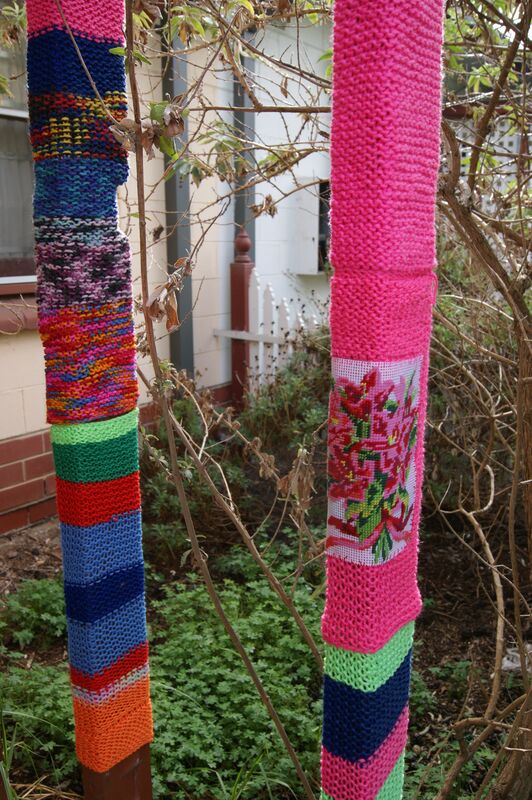 I like to use really bright colours on my yarn bombed poles. 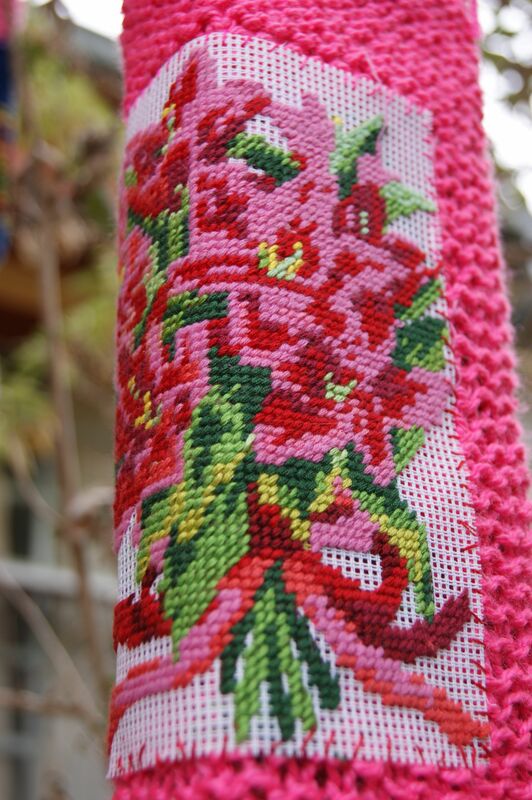 I like to knit textured stitches & to sew crochet or tapestry adornments on them. 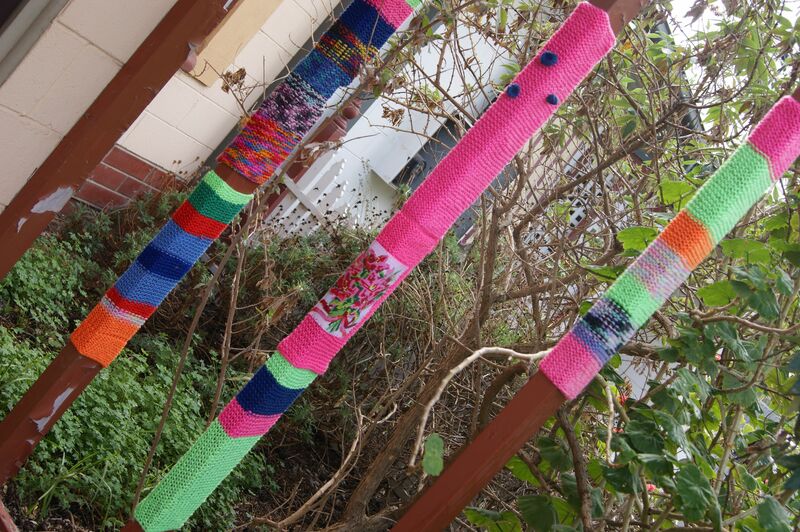 Yarn bombing looks great on oddly shaped poles. 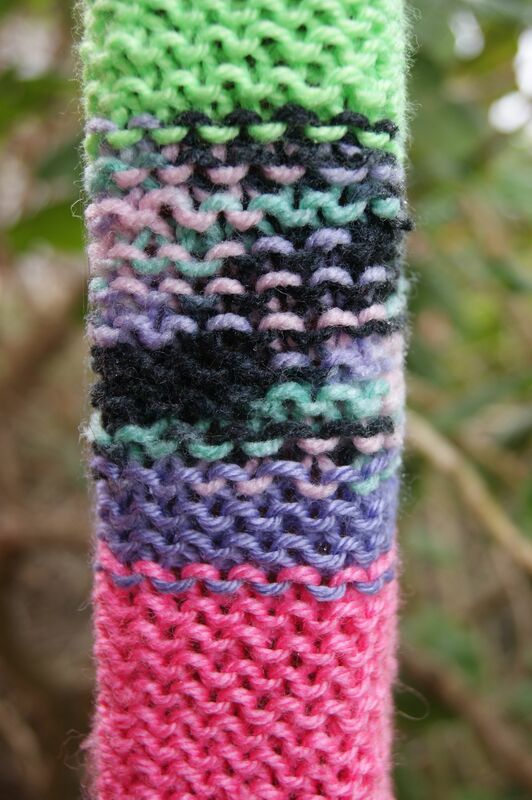 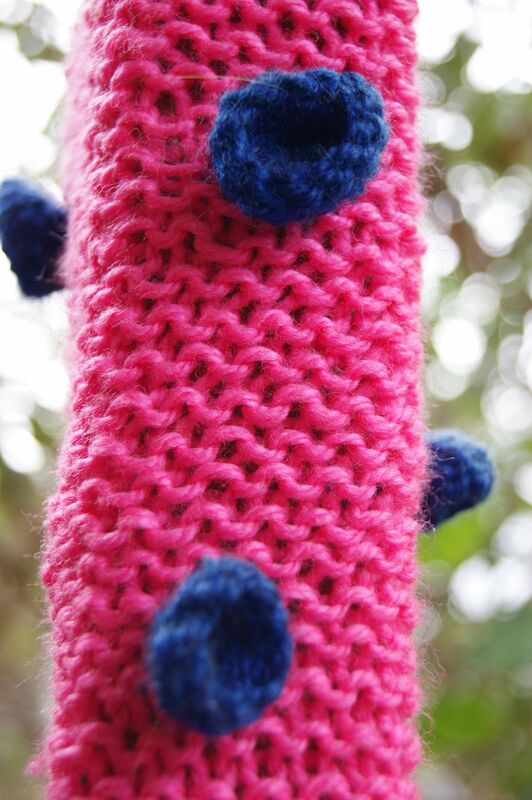 This pink & blue pole is a knit crochet blend. 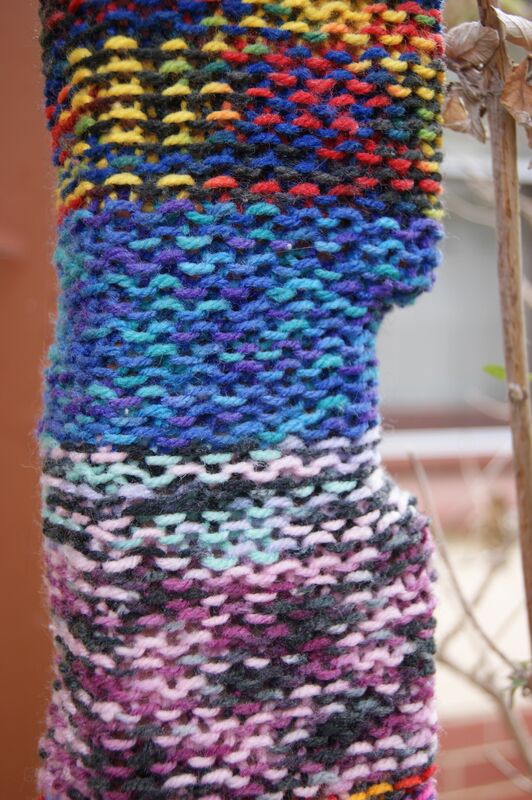 As long as you use great colours you don’t need to be a great knitter. 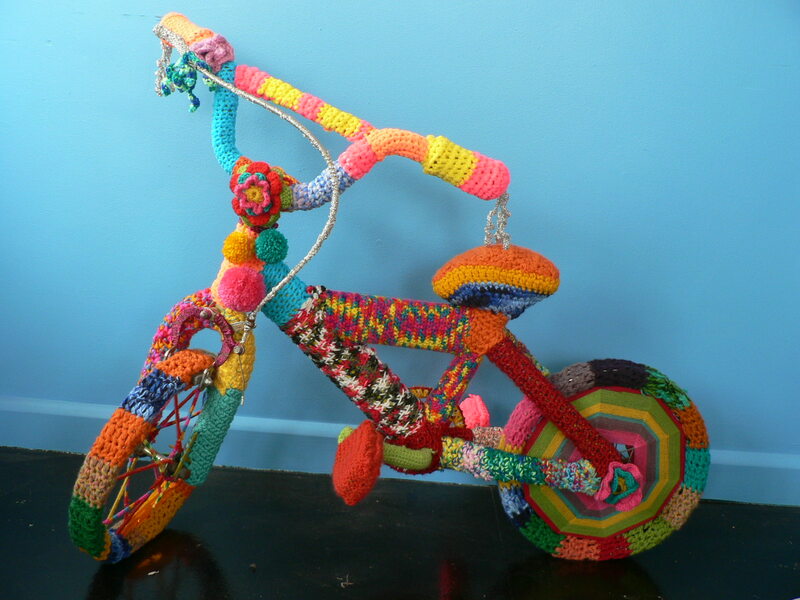 Craft should be fun. 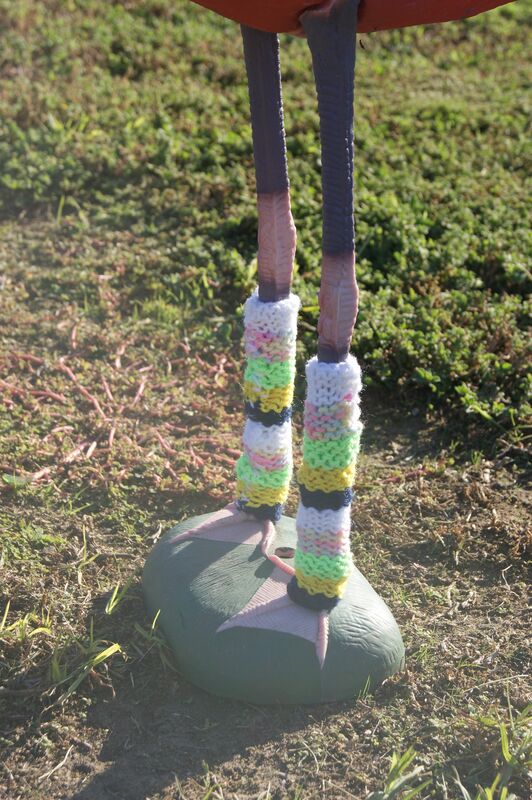 This entry was posted in cross stitch, Yarn bombing and tagged craft, crochet, knit, knitting, pink, tapestry, yarn bombed, yarn bombing on May 27, 2012 by yarnbomb. 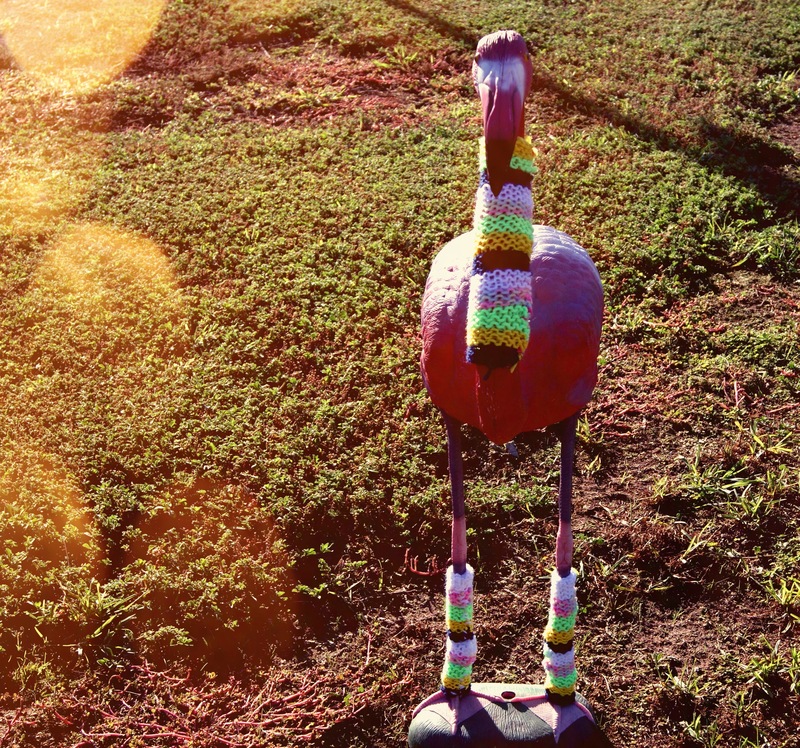 With the Australian winter coming on I figured it was time to yarn bomb my pink flamingo with a cosy neck warmer. 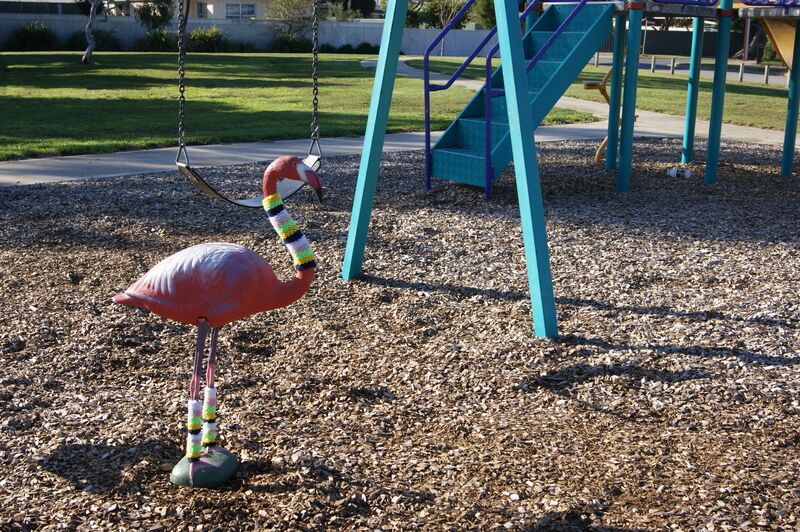 I took my pink flamingo to the local park for this photo shoot & surprisingly nobody stared at us. 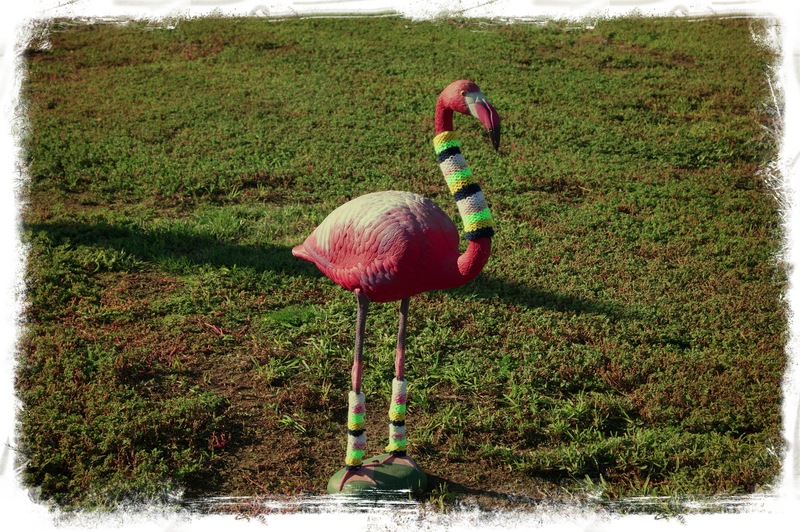 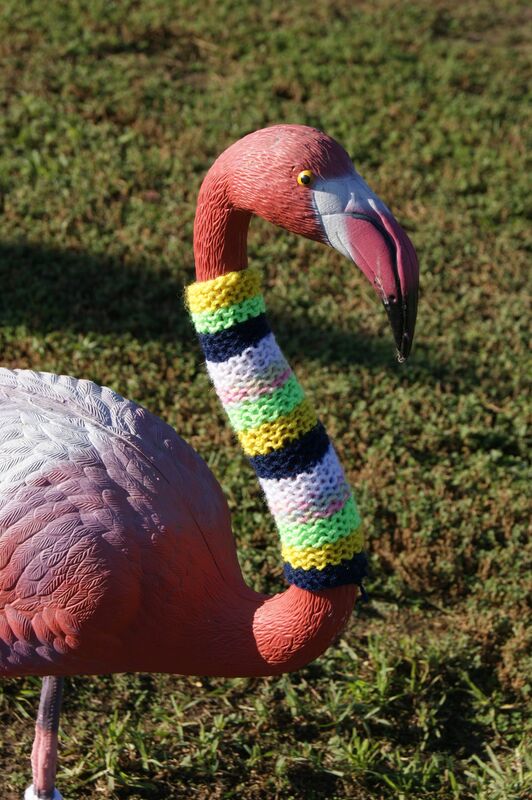 I knitted these leg warmers for my flamingo to match the neck warmer. 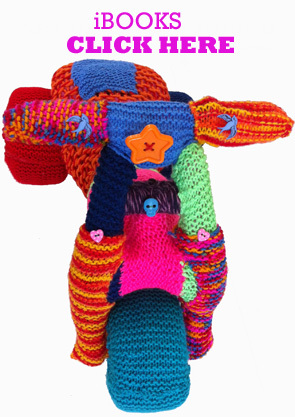 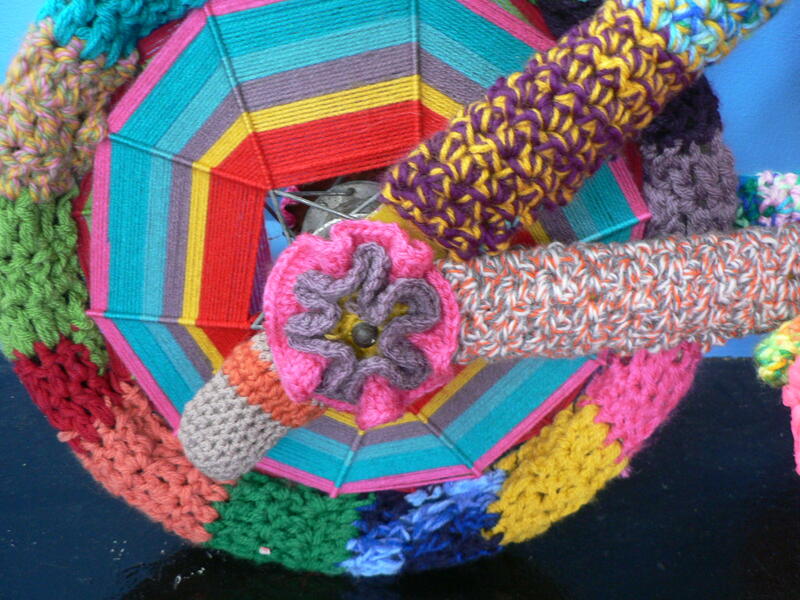 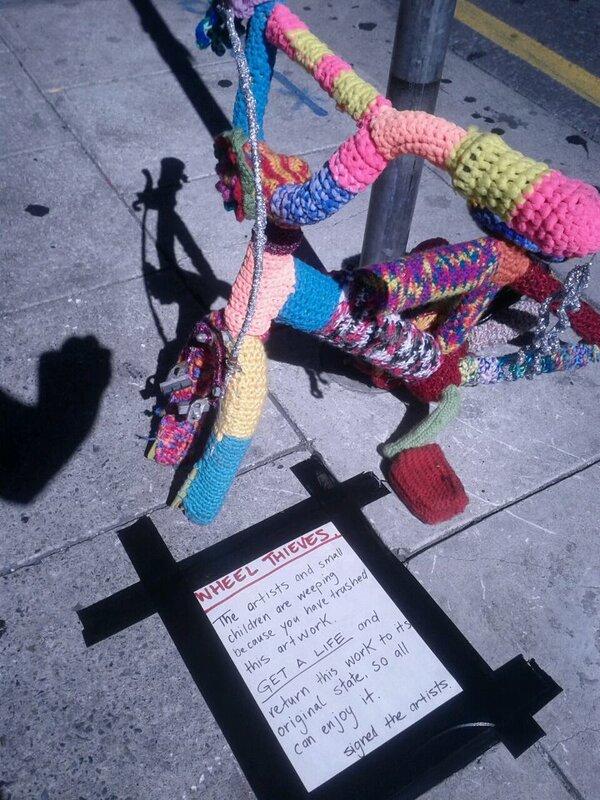 Knitting is the perfect winter hobby & knitting is the perfect hobby if you love yarn bombing. 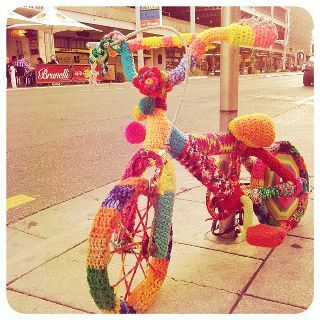 This entry was posted in Yarn bombing and tagged adelaide, flamingo, knitted, knitting, yarn bomb, yarn bombing on May 10, 2012 by yarnbomb.